A permanent structure to provide shaded areas to your outdoor living space. Our custom quality designs will provide the right amount of shade for the right space. Your Pergolas can be a stand alone structure or we can attach it directly to your home. 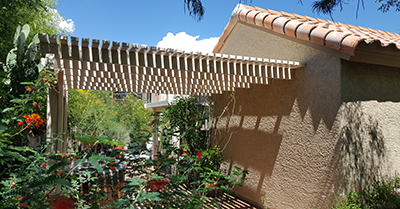 Our Pergolas are constructed of Ceder Wood and a long lasting aluminum system made to withstand the Arizona Sun. Our pergolas are designed for your space and there are many colors to choose from. 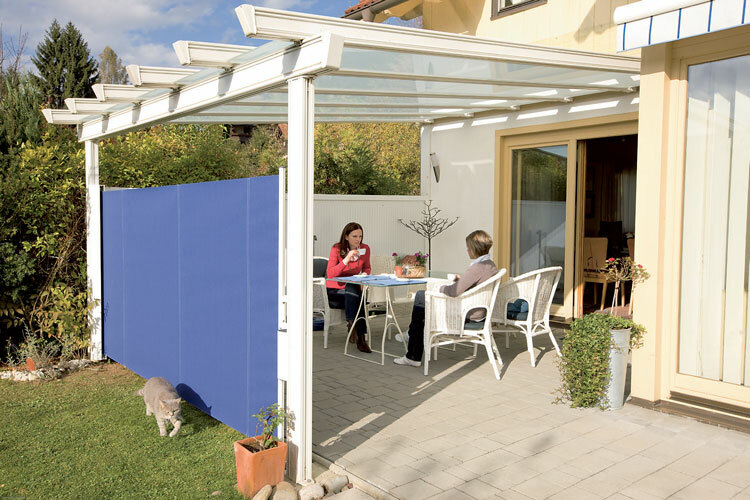 The Shadeside™ is a retractable system that provides shade and privacy for your outdoor area. Because it is retractable, it provides a home owner total control of its space through the convenience of rolling it up or extending it out. Send us your information below and we will contact you to schedule a demo or provide you with an estimate.